Fixing the rust in that area was a three day job, I know because that was my car and the wire he is talking about is for the oil temp sender. Not my screw, or my exstension. I still have all of my tools, and wouldn't think of using a dry wall screw on a car. I would guess about 30 hours of labor went in to that repair, with all new metal. 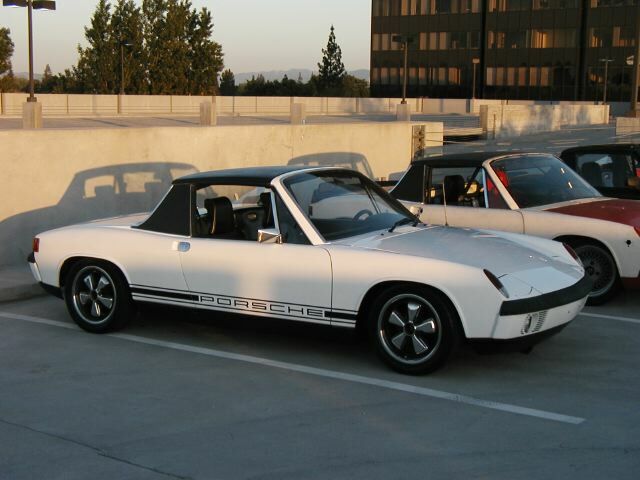 When that car left my hand it was one of the nicest 914's I have ever seen. 3 years of work made it that way. I was not concerned with any drainage holes, as I don't spray the engine bay with a water hose, and I didn't drive it out in the rain ever. The car went from California, to Seattle I believe. Since the car is in a much wetter climate, just put a small drain hole in the area next to the wire for the oil temp, without drilling the long. Easy to do for most. Last edited by Martin Baker; 03-19-2005 at 01:50 PM..